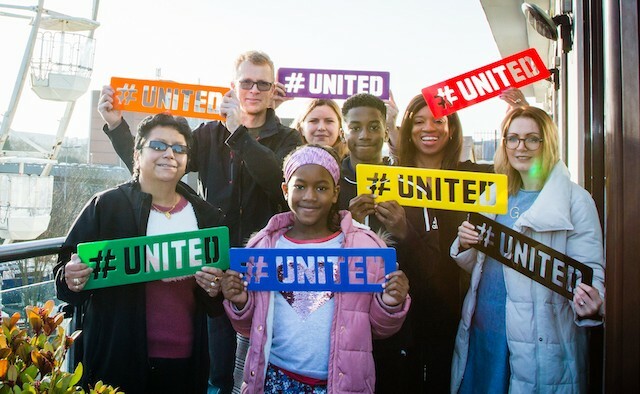 We want to spread the word that we are united – and growing in number. Parkinson’s campaigners from around the world are taking part in a global “United Hashtag Race” which aims to spread an unprecedented amount of awareness about the condition. As part of the race – which forms part of the United for Parkinson’s campaign – Parkinson’s advocates have split into seven teams and are competing to see who can spread their message the furthest. United for Parkinson’s will put pressure on policymakers by highlighting the unheard stories behind the condition. It is also hoped that – by sharing those stories – it will tackle common misconceptions about the disease. The campaign, inspired by Unite for Parkinson’s, was devised by Parkinson’s advocates Claire Jones and Omotola Thomas who met at the European Parkinson’s Disease Association’s young onset awareness event in October 2018. Having both been diagnosed at 35, the pair shared similar experiences – particularly around the common misconceptions of Parkinson’s disease – and decided to join forces. Omotola, who is captaining Team Red, said: “This is more than just an awareness campaign for me; this is an opportunity to drive a change in social behaviour towards people with Parkinson’s disease, especially in communities well beyond the borders of the Western world where there are gross misconceptions about the illness. 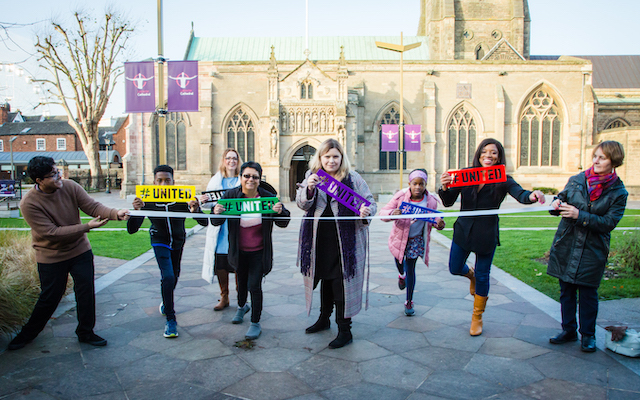 So far, the #UNITED signs have been flown to campaigners in all corners of the globe – and are receiving support from Shanghai, China to Lagos, Nigeria. The second part of the campaign, This is Me, sees billboards – displaying honest pictures of people with Parkinson’s – being put up globally to encourage people to take ownership of their condition. Both This is Me and the United Hashtag Race wrap up with an epic two day event on 10-11 April 2019, including a conference event specifically for women with Parkinson’s, Parkinson’s Eve. For more information on early onset Parkinson’s, please visit the EPDA website.